Popular children’s book title The Tiger Who Came to Tea is making its way to TV in a new animated special created by London’s Lupus Films. The studio is now working alongside the book’s publisher, HarperCollins Children’s Books to co-produce a new hand-drawn animated special of the title that celebrates its 50th anniversary this year. Lupus Films is the team behind other successful TV adaptations of popular book titles such as Ethel & Ernerst, We’re Going on a Bear Hunt and The Snowman and The Snowdog. 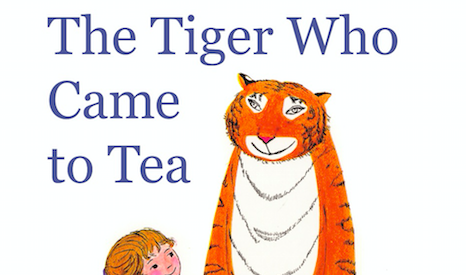 Written by Judith Kerr OBE, who celebrates her 95th birthday this year, The Tiger Who Came to Tea has sold over five million copies since it was first published in 1968. Produced by Lupus Films’ founders Camilla Deakin and Ruth Fielding together with Ann-Janine Murtagh, Katie Fulford and Mia Jupp at HarperCollins Children’s Books, this new animated special will see a team of artists bring to life Kerr’s vivid illustrations in Lupus Films’ distinctive, hand-drawn animated style. Ann-Janine Murtagh, executive publisher, HarperCollins Children’s Books added: “HarperCollins Children’s Books leads the way in multi-platform storytelling. 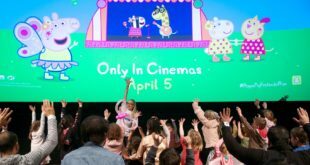 “Quality and authenticity is paramount to our success and it is fantastic to be partnering with Lupus Films who share this vision and have created some of the most treasured animated films of recent years.